It is necessary to appoint a UN envoy for North Korea in order to advance in solving the North Korean issue amid its recent nuclear and missile tests, Viktor Ozerov, the chairman of the Russian upper house of parliament’s committee on defense and security, told Sputnik on Sunday. The explosion of a home-made bomb destroyed the vehicle used by Taliban militants in the Kandahar province of Afghanistan and killed 10 militants, according to local media. Chief delegates from two Koreas at the Belt and Road Forum for International Cooperation in China on Sunday held a short meeting on the sidelines of the event. The US is "frightened" by the unpredictability of North Korean leader Kim Jong-un, and the CIA's new Korea Mission Center is an attempt to more efficiently gather intelligence about him, Professor Alexander Kubyshkin of St Petersburg State University told Radio Sputnik. The victory of Moon Jae-in in South Korea's recent presidential elections has the potential to increase cooperation between Seoul and its neighbors, including Russia. 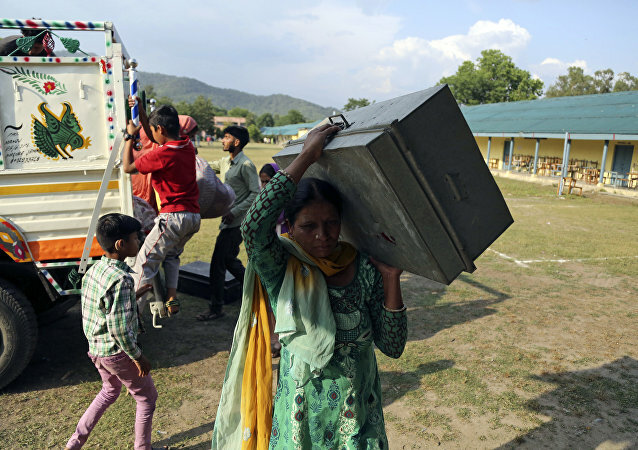 Authorities of India's Jammu and Kashmir state have evacuated about 1,000 people living in the areas close to the Indian-Pakistani border due to the clashes and shelling in the state's Rajouri district, the deputy commissioner of Rajouri said Sunday. The North Korean nuclear program strained Beijing-Pyongyang ties, but did not spoil them. This is a message that China sent to the world when it invited a North Korean delegation to attend a forum on international cooperation within the framework of the Silk Road project, Russian experts told Sputnik. Prime Minister said that Japan hopes to collaborate with Russia, China and other states over the North Korean nuclear and missile issues. Chinese President Xi Jinping announced on Sunday that the two banks of the country will pour about $55 billion into the "One Belt, One Road Initiative," a strategy to create a trade corridor between the eastern and western parts of Eurasia. Russian President Vladimir Putin is starting his two-day visit to China on Sunday to participate in the One Belt, One Road international forum and to meet a number of world leaders. Japanese Defense Minister Tomomi Inada suggested that North Korea could have launched a new type of missile on Sunday, as the projectile reached an altitude of over 1,200 miles. 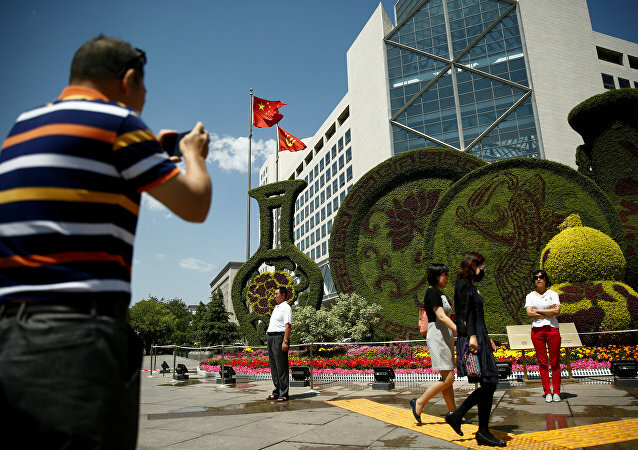 The Chinese capital of Beijing will be the host city of the two-day Belt and Road Forum for International Cooperation that is expected to kick off on Sunday. North Korea may have fired a missile of a new type, Japanese experts suggested after analyzing the trajectory of the projectile's flight, local media reported. Commenting on the latest missile launch by North Korea on Sunday, Japanese Prime Minister Shinzo Abe called the act a "serious threat" for his country, adding that he expects Pyongyang to carry out more "provocative actions." North Korea has fired what appears to be a ballistic missile from its west coast, the South Korean military reported early Sunday.